California lawmakers are concerned with health care providers who may be taking advantage of patients by unnecessarily enrolling them into commercial health care plans in order to maximize the provider’s reimbursement rates. 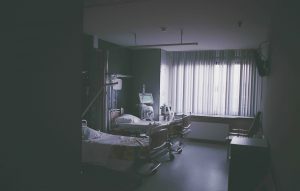 Lawmakers believe some providers are encouraging sick individuals to enroll in commercial health care plans, which the providers then pay the premiums for in addition to providing the patient medical services. The providers financially benefit from the patients utilizing these health plans by receiving reimbursements for their services. While providers claim their third-party premium payments are intended to help people get the medical care they need, lawmakers are concerned it is a way for providers to get greater reimbursements than the individual’s Medicare or Medicaid coverage would provide. While the scheme may not rise to the level of health care fraud, legislators worry that it takes advantage of the system and patients. Lawmakers also worry about the providers ceasing premium payments. Many providers choose to end payments at a certain point, causing sick patients to lose their coverage. A recently introduced bill would create safeguards against such occurrences. State Sen. Connie Leyva, D-Chino, introduced SB 1156 in February 2018. The purpose of the bill is to end health care fraud by regulating third-party premium payments. If this bill were to become law, the provider paying a patient’s premiums for any commercial health care plan would have to verify that the patient was not eligible for Medicare, Medicaid, or Covered California subsidies. The provider would have to inform regulators of their intention to pay the patients premiums. If the provider continues to pay the patient’s premiums, they must do so for a full plan year. The provider cannot stop paying the patients premiums even if the patient stops receiving treatment from them. The provider will only be reimbursed based on Medicare standards. The AKF, which pays for many patients premiums in order for them to receive health care coverage and services, published a statement against SB 1156. AKF believes the bill would harm many patients, including the hundreds of patients who rely on the fund for premium payments so they can receive dialysis and other life-saving treatment. The organization stated that the fund helps patients pay for all types of health insurance plans. In 2017, 65% of the fund’s recipients were on Medicare, Medigap, or Medicare Advantage plans. Only 10% were on private commercial plans. While third-party payments are not necessarily health care fraud, other health care providers’ schemes may rise to that level if they involved filing inaccurate or false claims with the government. If you are aware of any false claims being made to Medicare or Medicaid, contact a San Francisco health care fraud lawyer at Brod Law Firm today. Your information may be vital to a law enforcement investigation or it may be enough for you to file a qui tam lawsuit on behalf of the government.